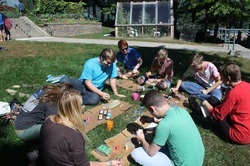 Come see the innovation sprouting in Boone gardens! BRWIA has partnered with Lettuce Learn to offer a family-friendly component to the High Country Farm Tour! 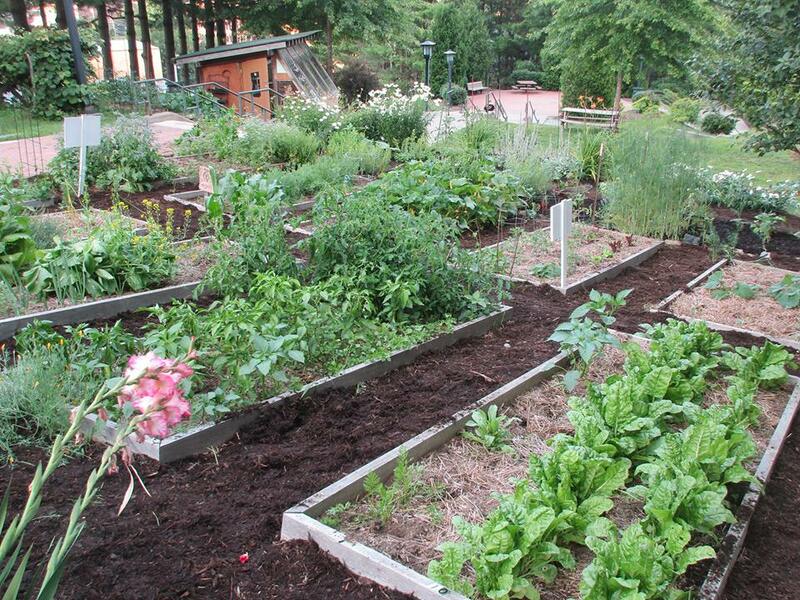 The Boone Gardens Tour will feature 6 community gardens within Watauga County that grow enormous amounts of food in a small space. Kids activities by Lettuce Learn at every garden! Be inspired by innovative growing techniques you can use at home! Learn how to get involved in growing food for our community! 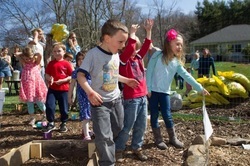 The Lettuce Learn Project provides quality garden-based education programs to children of all ages. Their goal is to encourage holistic, place-based, experiential education opportunities that engage children with their natural world, introduce them to their agricultural heritage, and enable them to make healthy choices. Students in PreK through 8th grade involved in the Lettuce Learn project at Parkway School are learning how to grow food in a safe, sustainable way. We currently have a SunCatcher passive solar greenhouse, thirteen raised garden beds, two pollinator gardens, two food scapes, and an ecology area with a small pond and nature trail. Our mission is to create holistic, plant-­based, experiential education opportunities that engage children with their natural world, enable them to make healthy choices, and encourage them to help build sustainable communities. 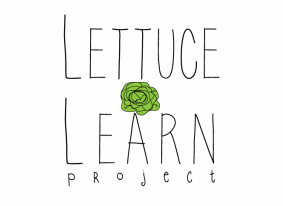 We will accept donations to support Lettuce Learn and offer activities including "how to make a massaged kale salad" where children will be welcome to try some of what is growing in our gardens. Directions: Head out of Boone on 421 S toward Wilkesboro. Turn right onto Old US 421 S at the stoplight just past the Food Lion on 421. Go 2.6 mi and turn left onto Parkway School Drive. Go the lower parking lot near the large playground and walking track and meet at the picnic shelter for tours. When guests visit the Hospitality House they will see the hard work and dedication residents, community members, and volunteers put into this garden. We have 28+ raised beds, 2 small hoop houses, and a passive solar greenhouse where we grow vegetables, fruit, and herbs for residents' use and the HH kitchen that serve three free meals a day to the public. Each year we expand by creating our own compost to build new beds and reduce the grass that needs mowing. Come and see the Dixie Chicks, our chickens who provide eggs, fertilizer for compost and are model for teaching residents and kid's about the importance of permaculture in the garden. 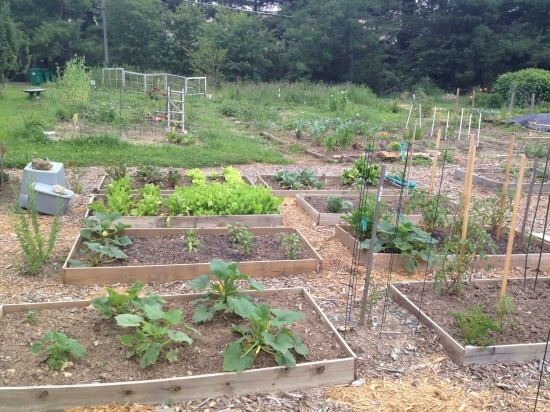 Our hope is that teaching residents gardening skills will allow for future food security. Please come support the Hospitality House and come see the chickens! Products available for purchase during tour: Plants, herbs and seedlings for sale. Leola gardens have been setting an example for eleven years of how to create an attractive space for people to connect with plants and nature. It has provided people with little experience the chance to learn how to cultivate vegetables and maintain a garden. Half of the members have established plots that they have maintained for years, and half are new to the experience. Most of the members live near by which facilitates easy access to their plot and allows them to meet other people who find gardening fulfilling. We share responsibility for keeping the space in good order and share knowledge about growing food. Being in town and close to Walmart gives us a lot of visibility and hopefully inspires others to follow our example. Directions: Head Northwest on W King Street toward N Depot St. Turn Left onto Depot St. Continue onto Bodenheimer Drive and the destination is on the left. We provide the perfect opportunity to see one of the hidden treasures of Appalachian State University. Join us for a walking tour of the Sustainable Development Civic Garden Project (Edible Schoolyard) to view the beautiful flowers, herbs, fruits, vegetable garden plots, composting system, cob greenhouse and beehive. The CDC Learning Garden is a budding community space intended for families, students, and aspiring gardeners. Throughout the garden you will find signs that educate both children and adults on basic gardening principles, as well as plenty of veggies, a family scavenger hunt, a sensory garden, and more! The CDC Learning Garden is a great stop on the Farm Tour for families, educators, students, and anyone who wants to learn more about gardening! Directions:­ (421 N from West Jefferson) Continue straight on 421 N into Boone and pass through downtown (West King St). From the Water St stoplight downtown, go 0.3 mi and take the left immediately past Galileo's bar onto the Poplar Grove Connector. Continue 0.1 mi down the road and take a right onto Poplar Grove Road. Drive around the curve and look out for a sign saying "Appalachian Child Development Center" on the right. Directions: The farm is located in downtown Boone. From King street, turn onto College St by the First Baptist Church. Take a left on Howard St and park in the University lot on the right before reaching the garden space. Alternately, take a left off of College St onto Hamby Alley and park in the Lucy Brock parking lot on Hamby Alley just west of the garden.